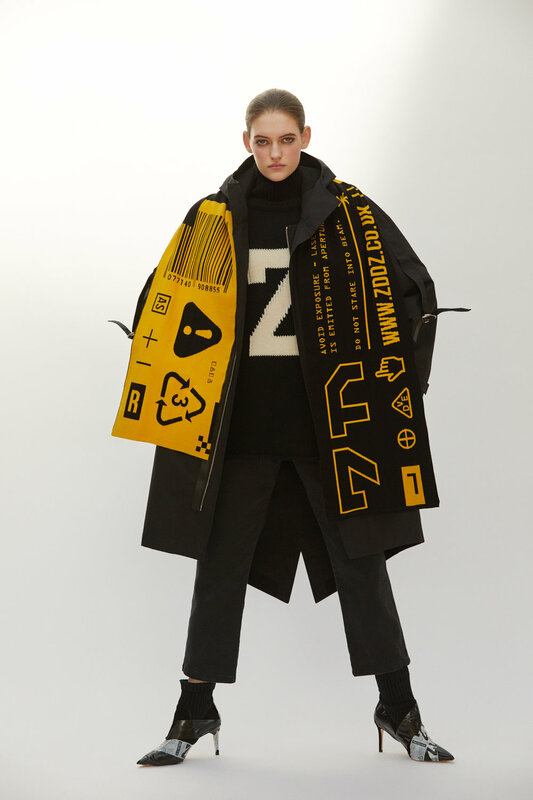 The latest ZDDZ collection was inspired by inflatable life vests and the graphics in safety manuals. Airforce uniforms are adapted in key colours such as: orange, black, white and yellow throughout the collection. 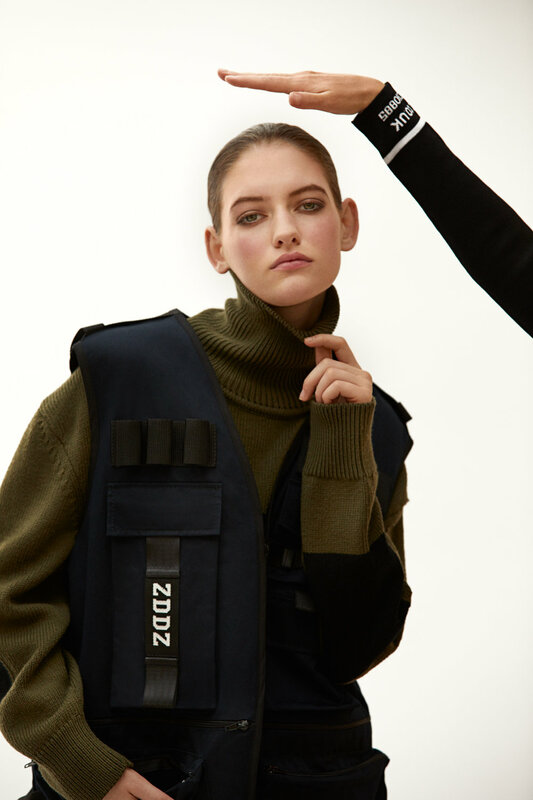 Silhouettes are re-imagined as ‘Life Vest’ bomber jackets, oversized chunky knits and ZDDZ logo tees. 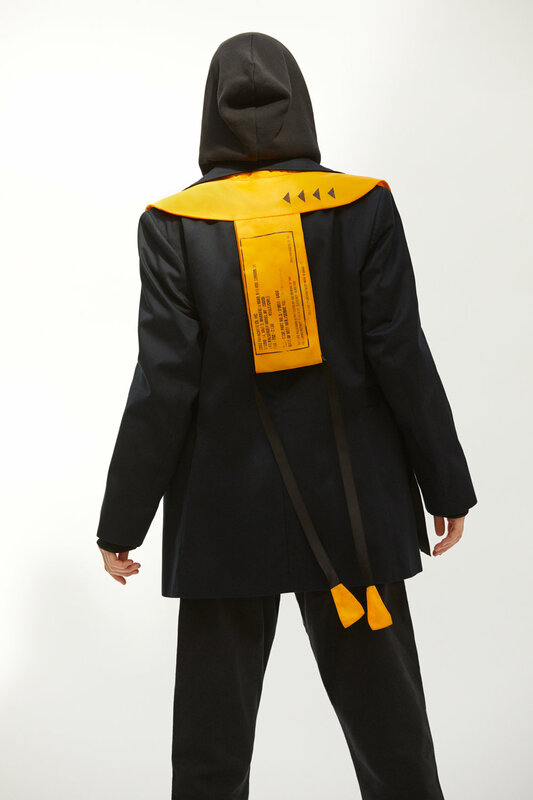 It also includes functional accessories such as waist bags inspired by harness vests. 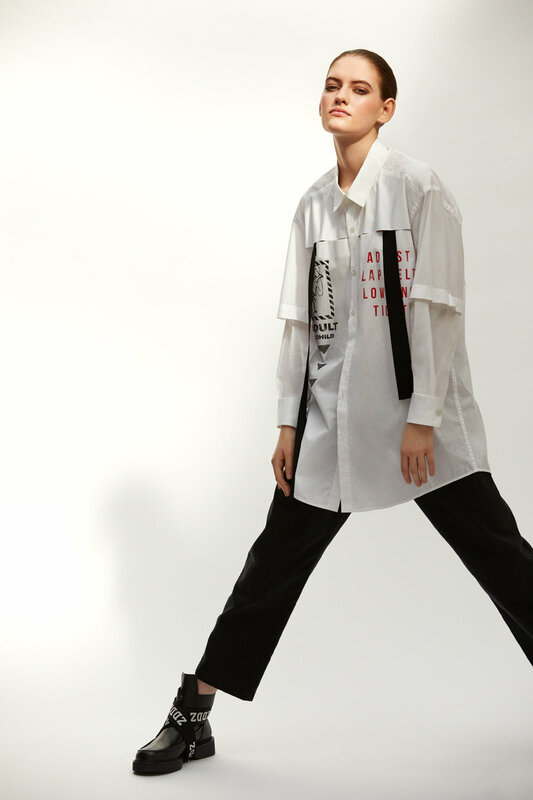 Following the brand DNA, the AW18 collection explores psychological aspects of a younger generation, in particular, the theme of growing up and entering the adulthood. When does one become an adult entering the adulthood process or an event? Does the ability to pay bills or drink alcohol makes one an adult? Does becoming a mother make one a grown up woman?